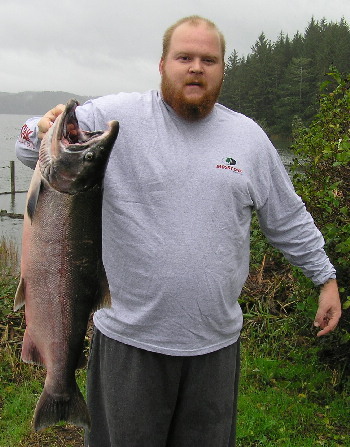 Arpil 23rd, 28" 6 lb.Steelhead and trout. 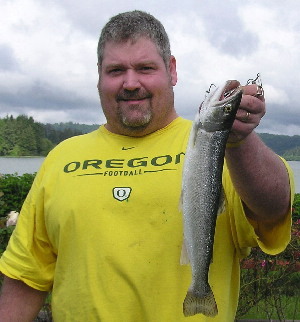 6.4 Three bright trout. Thanx for emailing this pic & for the article (below) you guys! An Osprey dropped this fish and it splash landed on this picnic table... EEK! August 2 lb. 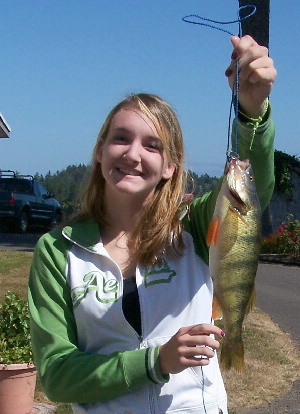 13 1/2" Yellow Perch... FYI... 2lb 2 ounces is the Oregon State Record! 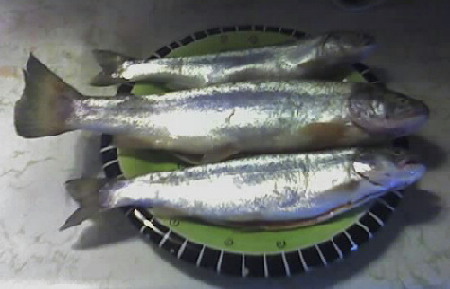 Oct. 25th 2 Jacks and a Trout. 22lb. 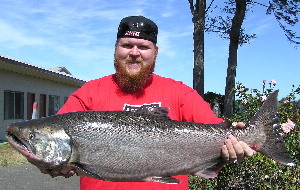 34" Caught on the Sisulaw River 5 miles north of FML in early October. 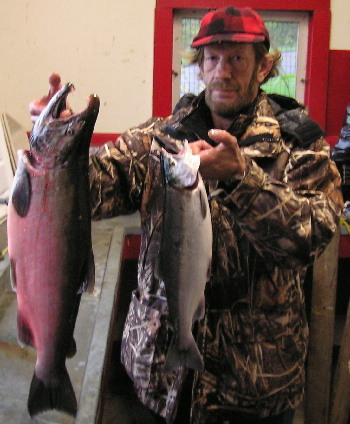 32" Salmon and Crab from the Sisulaw River, 5 miles north of FML.